Mexico City, March 3, 2017 – Today, at the Hidalgo State Police Training Institute, Ambassador Jacobson commemorated the donation of firearms simulators to police academies and federal training institutes across Mexico. The donations are part of a larger program under the Merida Initiative that seeks to develop a professional police force that serves the public safety needs of citizens. These simulators use immersive technology to create realistic and interactive scenarios where trainees learn to manage unexpected situations, with a goal of deescalating aggression and only discharging their weapon when necessary. The simulators also provide a safe, controlled environment for trainees to perfect their marksmanship with more precise feedback than traditional firing ranges. The Ambassador was welcomed by Alvaro Vizcaino Zamora, Executive Secretary of the National Public Security System and the Governor of Hidalgo, Omar Fayad Meneses. The U.S. Embassy coordinates the firearms simulator donations through the Executive Secretariat of the National Public Security System (SESNSP), with a goal of every state-level police academy receiving a fixed and/or mobile simulator by early 2018. State academies in Durango, Tamaulipas, Hidalgo, Puebla, Morelos, Mexico City, and Mexico State, as well as Federal Police and Federal Attorney General office training institutes have received simulators and since August 2016 nearly 6,500 agents have been trained on this equipment. The Merida Initiative is a bilateral security cooperation agreement between Mexico and the United States. 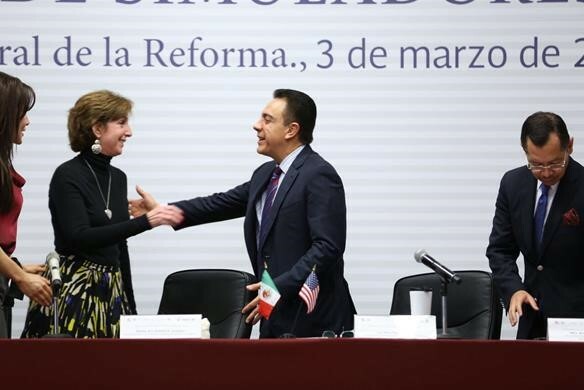 Through eight years of implementation, the Merida Initiative has led to greater cooperation between the United States and Mexico. It has provided tangible support to Mexico’s law enforcement and judicial institutions, helped to counteract the illegal trade in narcotics, and strengthened border security. 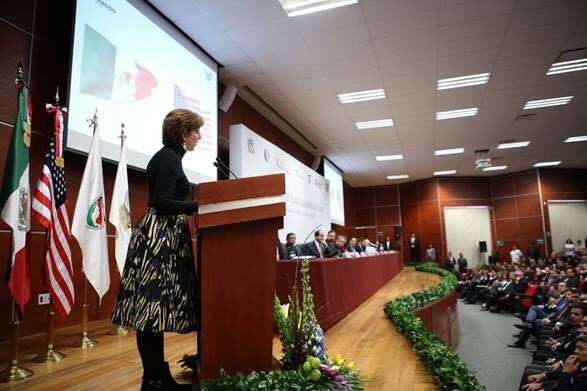 To date, the Merida Initiative has delivered USD $1.6 billion in equipment, training, and capacity building assistance to the government of Mexico. Press Release issued by the American Embassy in Mexico City on March 3rd, 2017.